What is the Solow Growth Model? The Solow Growth Model is an exogenous model of economic growth that analyzes changes in the level of output in an economy over time as a result of changes in the populationDemographicsDemographics refer to the socio-economic characteristics of a population that businesses use to identify the product preferences and purchasing behaviors of growth rate, the savings rate, and the rate of technological progress. The Solow Growth Model, developed by Nobel Prize-winning economist Robert Solow, was the first neoclassical growth model and was built upon the Keynesian Harrod-Domar model. The Solow model is the basis for the modern theory of economic growth. Below is a simplified representation of the Solow Model. 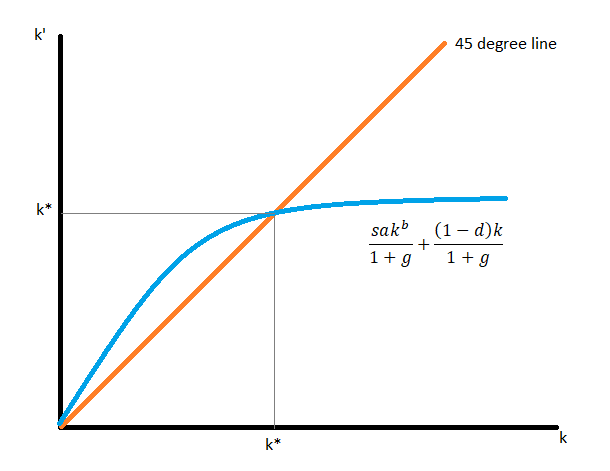 The population grows at a constant rate g. Therefore, current population (represented by N) and future population (represented by N’) are linked through the population growth equation N’ = N(1+g). If the current population is 100 and the growth rate of population is 2%, the future population is 102. All consumers in the economy save a constant proportion ‘s’ of their incomes and consume the rest. Therefore, consumption (represented by C) and output (represented by Y) are linked through the consumption equation C= (1+s)Y. If a consumer earns 100 units of output as income and the savings rate is 40%, then the consumer consumes 60 units and saves 40 units. All firms in the economy produce output using the same production technology that takes in capital and labor as inputs. 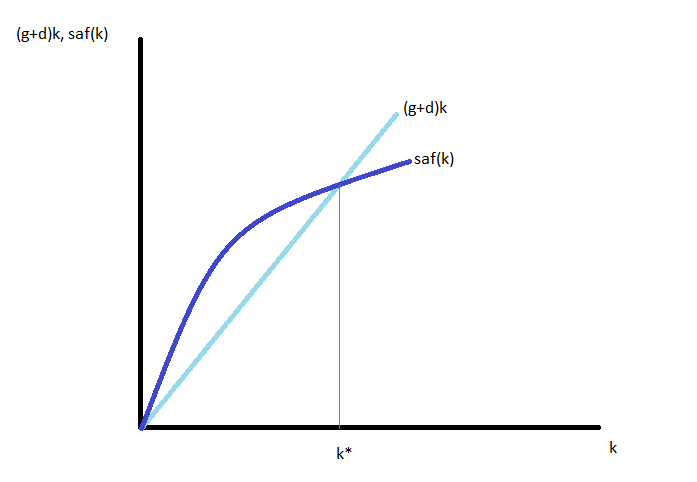 Therefore, the level of output (represented by Y), the level of capital (represented by K), and the level of labor (represented by L) are all linked through the production function equation Y = aF(K,L). The Solow Growth Model assumes that the production function exhibits constant-returns-to-scale (CRS). Under such an assumption, if we double the level of capital stock and double the level of laborLabor MarketThe labor market is the place where the supply and the demand for jobs meet, with the workers or labor providing the services that the employers demand. The, we exactly double the level of output. 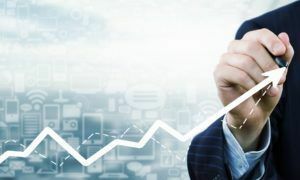 As a result, much of the mathematical analysis of the Solow model focuses on output per worker and capital per worker instead of aggregate output and aggregate capital stock. Present capital stock (represented by K), future capital stock (represented by K’), the rate of capital depreciation (represented by d), and level of capital investment (represented by I) are linked through the capital accumulation equation K’= K(1-d) + I. In our analysis, we assume that the production function takes the following form: Y = aKbL1-b where 0 < b < 1. The production function is known as the Cobb-Douglas Production function, which is the most widely used neoclassical production function. Together with the assumption that firms are competitive, i.e., they are price-takingPrice TakerA price taker, in economics, refers to a market participant that is not able to dictate the prices in a market. Therefore, a price taker must accept the firms, the coefficient b is the capital share (the share of income that capital receives). Therefore, in equilibrium: I = S = sY. There is no growth in the long term. If countries have the same g (population growth rate), s (savings rate), and d (capital depreciation rate), then they have the same steady state, so they will converge, i.e., the Solow Growth Model predicts conditional convergence. Along this convergence path, a poorer country grows faster. Countries with different saving rates have different steady states, and they will not converge, i.e. the Solow Growth Model does not predict absolute convergence. When saving rates are different, growth is not always higher in a country with lower initial capital stock.